Best 1911 Guide Rods of 2019 – How to Choose + Our Top Picks! The M1911 pistol was the U.S. military standard issue from 1911 to 1986, seeing duty in roughest conflicts our forces have faced. The pistol remains a quintessential American classic beloved by many and very customizable. One custom 1911 option is the full-length guide rod. Read on to discover what a guide rod is and why it might be a great upgrade for your 1911. We also have given you some high-quality options to aid you in your search. What is a Guide Rod and What is it Used For? A guide rod is a component of a handgun found parallel to and underneath, the barrel. The guide rod sits inside the spring and prevents it from kinking. Guide rods come in many shapes and sizes depending on a variety of factors. In an M1911 the main varieties are standard GI and full-length. The material can vary as well. Steel is the most common, but plastic and tungsten guide rods also exist. We wouldn't recommend plastic, but tungsten can add weight to your handgun, improving balance and muzzle rise. Different guide rod designs can change the performance and wear time of your handgun. As with so much in the firearms field, there is no ultimate M1911 guide rod, style choice is mainly a matter of preference. Full Length vs. GI Guide Rod: What is The Difference? Most seasoned gun fanatics agree that John Moses Browning was the greatest firearms designers to have ever lived. One of his most iconic creations is the M1911, which he designed with much input from the military, to include a GI guide rod. Some will argue that John Moses' design choices are as sacred as the ten commandments and will abide no dissent. The short GI guide rod is easy to disassemble and allows you to rack the slide one-handed against whatever object is at hand. It also lets you choose the end-cap design of your choice. Full-length guide rods can help to smoothen the operation of older, looser 1911s. Some users argue that the added weight helps to reduce muzzle rise, aiding accuracy on follow-up shots. Others argue that it helps prevent spring damage and reduces rail wear. Some full-length guide rod designs make your 1911 harder to disassemble. First, you must choose whether you want a classic GI guide rod or a full-length one. If you go with a full-length, you must then choose between a two-piece or a single piece design. An M1911 with a single-piece full-length guide rod is easier to disassemble than a two-piece model. As usual, it is best to go with a reputable manufacturer when choosing a guide rod. This will help ensure the best possible build quality, especially if it comes with a good warranty. You will probably want a stainless steel guide rod, but if you think your 1911 needs a bit more weight up front, consider a tungsten model. Aesthetics can also be a big consideration when choosing a guide rod. 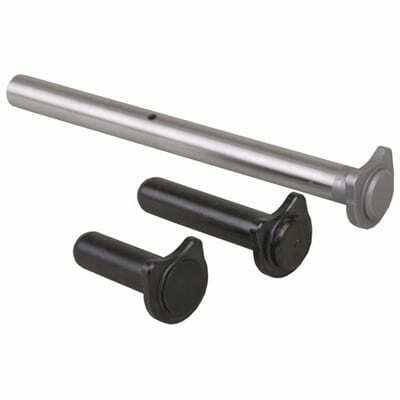 GI-style guide rods let you choose a separate end cap that can be engraved or otherwise decorated to your taste. A full-length guide rod will be exposed under the barrel when the slide is locked back, giving what some find to be a more “tactical” look. They also come with various finishes and end designs. With so many choices for such an arcane and deceptively simple 1911 component, choosing the best one for you can be a chore. We've done the hard work for you, so follow our list for the best 1911 guide rods on the market today. Wilson Combat is a big name in high-end custom 1911s. Based in Arkansas, they have been making top-quality 1911s and components since 1977. It's hard to think of custom 1911s without Wilson Combat coming to mind. If you can name an elite military and law enforcement unit, chances are that Wilson Combat has been awarded a contract or two by them. 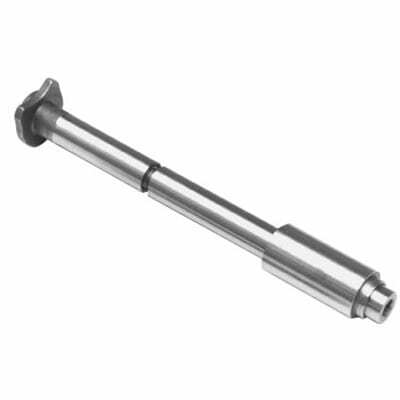 This is a hardened, stainless steel full-length guide rod for 4.25-inch commander-style handguns. Installation requires no other modification of your 1911, it's a drop-in affair. Assembly and disassembly are the same as with the stock guide rod, except that you will require a #22 or #22b bushing wrench. With a single-piece guide rod, it isn't possible to push the slide back slightly to remove the barrel bushing. This rod only works with flat wire recoil springs, not standard round ones. It improves cycling, spring life, and the general operation of your 1911. Plus, the rod has a hole for easy pin-style takedown using a thin nail or a bent paperclip. If you expressly want a full-length guide rod with a pin-style take-down hole, you can't find a better product than this one from Wilson Combat. Not only does it look cool, but the hardened stainless steel guide rod helps preserve your recoil spring. Wilson Combat may be one of the top-flight companies out there for 1911 components, but they still have some high-quality components at an affordable price. This is a great full-length guide rod that replaces a factory spring plug and guide rod. It offers increased reliability and smoother functioning. It is machined from stainless steel and includes the guide rod head, reverse plug, and a #24 single-piece, heavy-duty recoil spring. This is a two-piece hex-head guide rod. 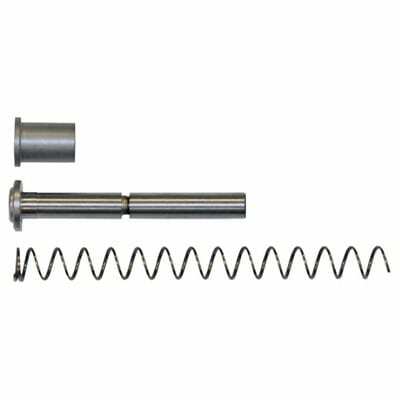 Along with the recoil spring it comes with, this guide rod is fast and easy to install, though a small modification of the slide is required. Upgrading to a full-length guide rod on an officer-length 1911 offers both greater reliability and accuracy. The reverse plug is also far more reliable than stock. These features offer great performance improvements for models such as the Colt Officer or the Para Ordnance P12. Use of Shok-buff buffers with this guide rod is discouraged. Naturally, this Wilson Combat product is manufactured in the U.S.A. It's always great when you can get a high-quality component from a reputable manufacturer for a reasonable price. The top features of this guide rod are the included heavy-duty recoil spring and the improvements in smooth operation and accuracy. The affordability doesn't hurt either. 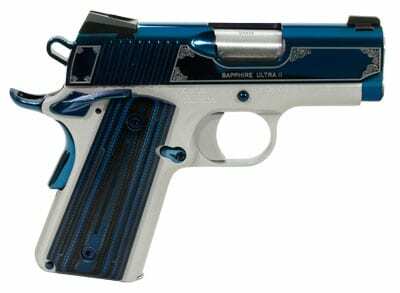 Ed Brown has been in business in Missouri for over 50 years, so you'll be hard-pressed to find anyone with more know-how on customizing 1911s. You will find many shooters casting a jaundiced eye at two-piece guide rods. However, for five-inch guns, they offer much easier disassembly. They are also easy to install, by dropping one into any 1911 with the proper slide length. This model also comes in a commander length version that will fit in guns with 4.25-inch barrels. 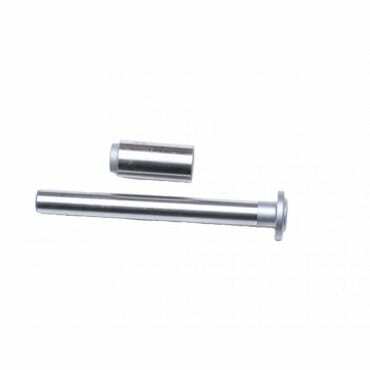 These guide rods are made of hardened stainless steel. The two-piece design completely supports the recoil spring. This allows your handgun to chamber, cycle, and extract rounds much more smoothly. It also prevents the spring from binding and makes taking down the slide quick and easy. The guide rod head is designed for maximum durability and shock resistance. A plug and the requisite Allen wrench are both included. This guide rod is perfect for both competitions and law enforcement applications. Made in the U.S.A. This is a great option if you want a two-piece guide rod. Ed Brown is one of the most reliable and reputable companies around and they definitely know what they're doing. The top features of this guide rod are the ease of disassembly and the great spring support. EGW is a company out of Pennsylvania that has been around since 1991. The company boasts a team of craftsmen that develop fine firearms and components such as this guide rod. This is a single-piece, GI-style guide rod designed for five-inch government-length 1911s. There are two versions, one is exactly 1.252 inches long for commander-length 1911s and the government-length model is four inches. Either version works with standard round recoil springs (sold separately). EGW machines the spring plug on a high-end Swiss screw machine. 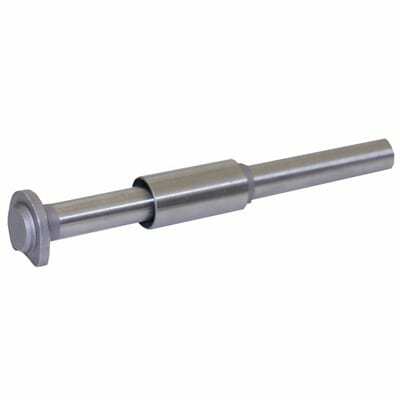 The guide rod is machined from a solid bar of either carbon steel or stainless steel. The former is blued and the latter comes with a natural finish. One of the key selling points of this guide rod is its simplicity. This helps ensure smooth functioning and rock-solid reliability, no matter what you put your 1911 through. There is no through-hole which could compromise the strength and reliability. There are also no threads that could wear out or come loose. The flat face lets recoil buffers fit securely. The rounded front end of the rod effectively prevents the guide rod from snagging the recoil spring. It is made in the U.S.A. Whether you need a GI-style guide rod for your commander or government-length 1911, EGW has you covered. You simply cannot go wrong with this top-quality item. The best features are the simple build quality, materials, and tolerances. Nighthawk is a company out of Arkansas. Founded in 2004, they specialize in custom 1911s. They have a top-flight reputation, partly because all of their parts are machined, none are cast. You can rest assured that this is a top-quality single-piece guide rod. It is machined from a billet of solid 416 stainless steel. It has no threading to gall and no hole to compromise its strength. It comes with a matching diameter plug that fully captures the recoil spring to prevent it from binding or kinking. This gives you the utmost in smooth and reliable cycling. The weight that this guide rod adds up front in your 1911 will reduce muzzle rise and improve control on rapid follow-up shots. The guide rod's flat face fits tightly and helps to correctly position recoil buffers. The stainless steel is naturally finished. This guide rod fits government and commander style 1911s. It may require some fitting for proper installation. It is made in the U.S.A. The quality that comes from selecting a product from a high-end manufacturer really comes through in the little details. If you are trying to build the Rolls Royce of 1911s, this Nighthawk guide rod is a good place to start. The top features are the precision machining and the lack of weak points anywhere on the guide rod. It can take a lifetime of tinkering and experimenting to get your 1911 perfectly customized. With endless options, the joy is all in the journey. That's why we love firearms. Whatever 1911 guide rod you choose, we wish you happy shooting and safety.